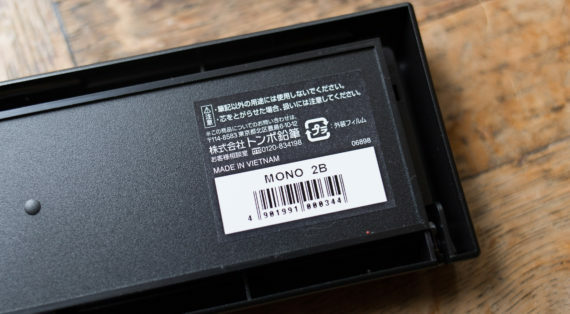 Last month Tombow released a new eraser (Japanese announcement, Google translation). 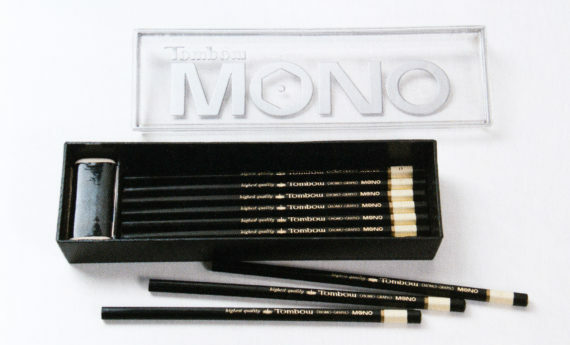 It’s quite similar to an old, familiar friend, the Staedtler Mars plastic, but with a Tombow Mono inside. 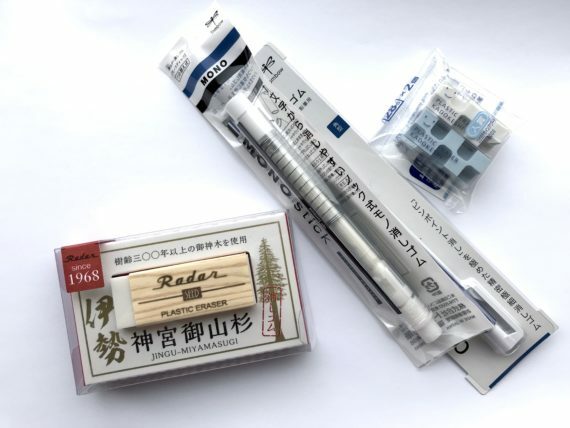 The eraser stick has a diameter of 6.7 mm and a length of 100 mm. Tombow isn’t the only company with new erasers. 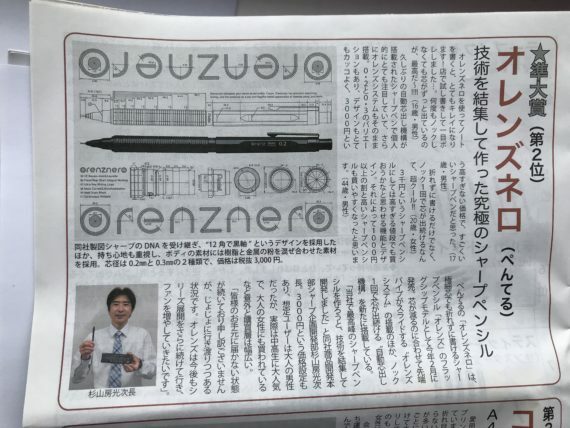 Look at this special eraser from Seed. 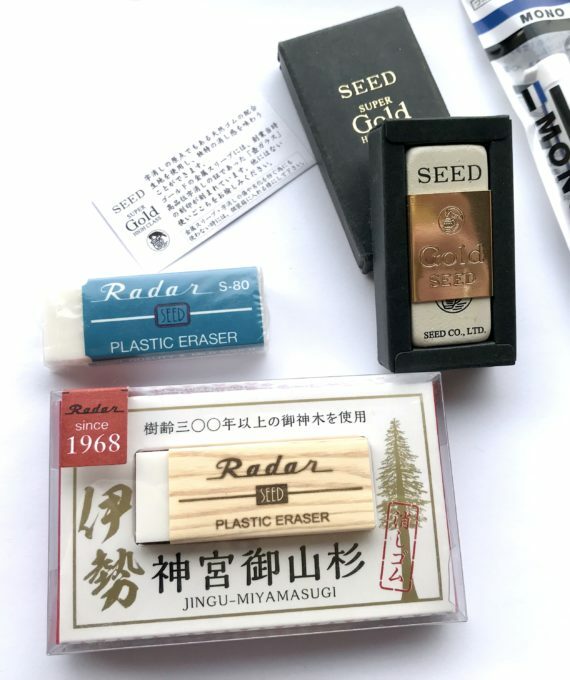 Seed’s Radar is one of their famous erasers. This version has a sleeve made from 300 year old cedar wood. Here it is again, next to some other Seed erasers. 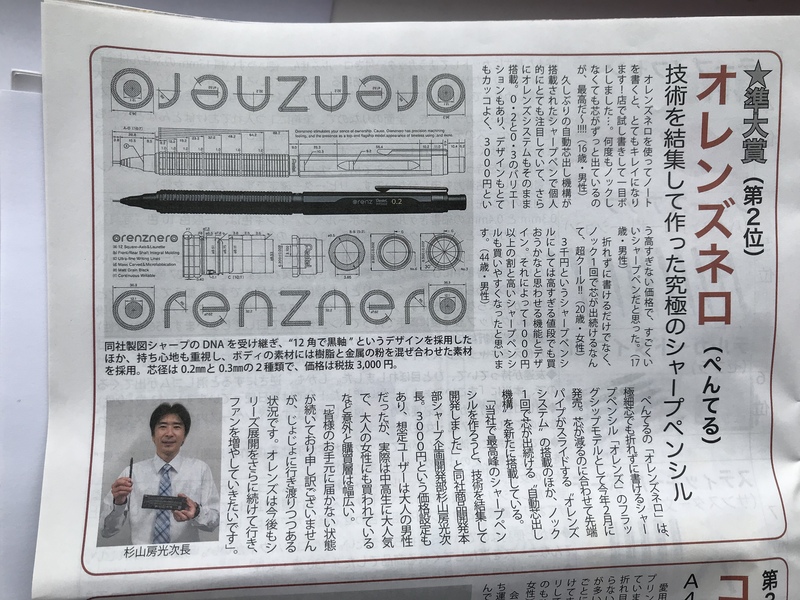 Since we are talking about Japanese erasers: in case you were wondering about the symbols you can find on them: have a look at this document from JEMA, the Japan Eraser Manufacturers Association (Google Translation). It also contains explanations regarding testing. 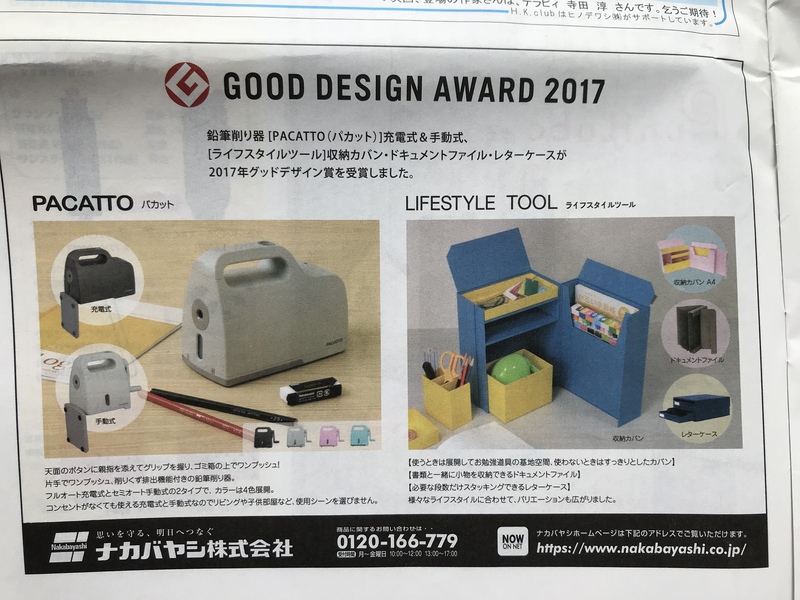 ..as well as a nice sharpener and organiser from Nakabayashi. There’s an automatic (~£28; $39, €31) and a manual version (~£9; $13; €10) of the Pacatto sharpener. The Stationery King1 did of course have several appearances, too). 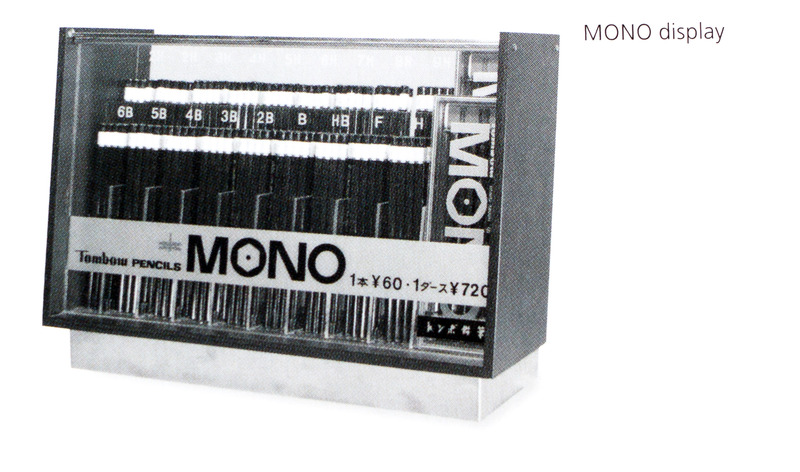 …and now for something completely different. I dare to include it because it has hexagonal in the title: Hexagonal Phase. The computer animations from the TV series were actually hand drawn. The Hitchhiker’s Guide to the Galaxy is back. 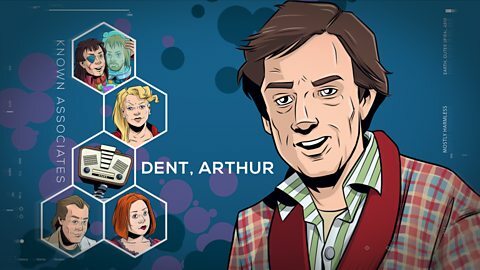 The Original Cast of the Original Radio 4 Radio Comedy in new episodes, written by written by Eoin Colfer. I would like to thank Yumiko for the nice parcel and Gunther and Sola for the additional information. The Hitchhiker’s Guide to the Galaxy images in this blog post are from the BBC series of the same name. I believe that the use of the image shown in this blog post falls under “fair dealing” as described by the UK Copyright service.